You’ve probably heard that sound waves create pressure that can move air. And if there are objects around that are light enough – the air can move them along its path. 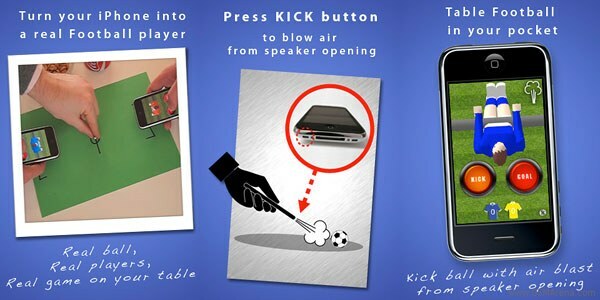 The iPhone speaker is tiny but obviously it’s powerful enough to blow away a Styrofoam ball and to let you play micro-football with your pals. What you need is something to create the needed sounds, such as the 99 cent app Football – Real Kick found in the App Store. The more the iPhones, the more the football players. The more the fun. All you have to do is come up with your own football board. Easy, isn’t it?